October is a monster month here at Akira Kurosawa info, for our film club will be discussing Ishiro Honda’s 1954 film Godzilla (ゴジラ / Gojira), which features the titular gorilla-whale (gorira + kujira = gojira) that comes from the bottom of the sea to wreak havoc on Tokyo. According to Inuhiko Yomota‘s essay “The Menace from the South Seas” (reprinted in Japanese Cinema: Texts and Contexts, edited by Alastair Phillips and Julian Stringer), from which most of my background knowledge of the film comes, the moving force behind the creation of Godzilla was producer Tomoyuki Tanaka, whose over 200 production credits also include seven films directed by Kurosawa (from The Lower Depths to Kagemusha) as well as many written by him. The other central forces in the film’s creation included special effects wizard Eiji Tsuburaya, who also worked on Kurosawa’s Throne of Blood and whose work was much influenced by German Expressionism, screenwriter Takeo Murata and composer Akira Ifukube. Yomoto also notes that many of the people in the crew were veterans who had previously worked for Mikio Naruse. Godzilla was directed and co-written by Ishiro Honda, who had previously been the principal director on eight feature films. Honda, who was born in 1910 just like Kurosawa, had apprenticed with Kurosawa under Kajiro Yamamoto and also helped him with the 1949 film Stray Dog. Honda and Kurosawa were lifelong friends, and although Honda retired from the film industry in the 1970s, he returned again to help Kurosawa with his last films from Kagemusha onwards. It is therefore not particularly surprising that Godzilla has certain links with Kurosawa’s contemporary works, not least with Record of a Living Being (1955) that we have paired Godzilla with in our film club schedule. Both films were made at a time of increased worry in Japan about nuclear weapons tests conducted at the Pacific Ocean. The March 1954 Lucky Dragon 5 incident, which I also mentioned in my introduction to Record of a Living Being, had claimed the first Japanese nuclear bomb radiation casualties since the war. Honda’s film dealt with these fears through the metaphorical context of a monster film, while Kurosawa approached the topic more directly as a psychological drama. Another Kurosawa film with which certain parallels can be drawn is Seven Samurai, released in the same year as Godzilla. In both films a community is threatened by overwhelming forces, and in both cases it is a character played by Takashi Shimura who leads the efforts to understand and fend off the aggressor. Incidentally, both films also feature Kokuten Kodo as a village elder. However, and perhaps most importantly, Godzilla and Seven Samurai can both be viewed as a recollection of the wartime experience. This is especially true of Godzilla, which frequently references these memories. When Godzilla was released, critical reception in Japan leaned towards the negative, but the film was nevertheless a major box office hit. It spawned numerous sequels and remakes, many of which directed by Honda, and the next of which is scheduled for 2014. Among the films that followed the original Godzilla is famously also Godzilla, King of Monsters! (1956), which was an American re-edited and dubbed version of the original that also inserted a new character into the film, an American reporter played by Raymond Burr. 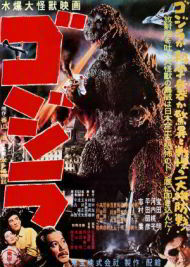 This was the version most Americans first saw Godzilla in. Godzilla was of course not the first monster film out there, with its predecessors including such classics as The Lost World (1925) and King Kong (1933). But perhaps the best companion film for Godzilla would be the 1953 Hollywood film The Beast from 20,000 Fathoms. Released a year before Godzilla, the film features a story very similar to that of the Japanese film: a nuclear bomb test awakens a hibernating ancient dinosaur which makes its way to New York to smash things. There are, however, some rather interesting differences, including the fact that the beast in the American film is killed with more radioactivity, supposedly reinforcing the belief in the protective powers of the American nuclear arsenal. This is pretty much the opposite to the overall message in Godzilla, in which the character played by Shimura repeatedly considers the idea of using the monster to research how to survive the nuclear age, and in which the scientist goes on a suicide mission after destroying his work on the Oxygen Destroyer which, if left in the wrong (or, as the film puts it, “politician’s”) hands, will be weaponized for its destructive power comparable to that of the atomic bomb. 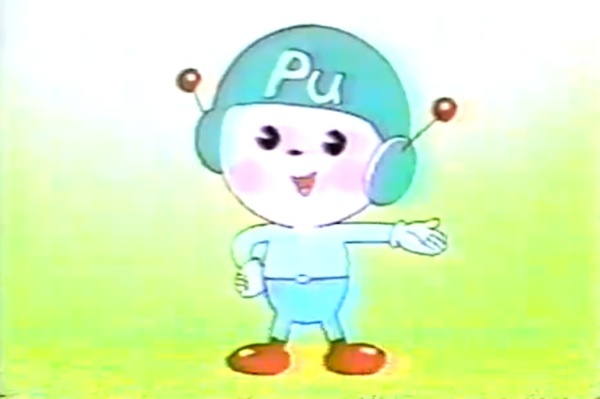 To make sure that the message gets across, the film ends with a statement given by Shimura’s character, pleading us to end nuclear weapon tests. Thanks to its cult following as well as the serious critical attention that the film began to gather years after its release, the availability of Godzilla on home video is fairly excellent, with region 1 best served with the trusty old Criterion (DVD or blu-ray), while BFI’s Region 2 is also generally available, although the subtitles could be better. For those down under, or otherwise dependent on region 4 discs, Madman has at least a box set available. Next month, we move forward in our Kurosawa chronology and towards a more Shakespearean realm, with Throne of Blood on our schedule. For availability, see Kurosawa DVDs. Kurosawa’s Macbeth adaptation will be followed in December by Orson Welles’s 1948 Macbeth. For the full film club schedule, see the film club page. But as I said, October is a monster month. What’s your opinion of Ishiro Honda’s Godzilla? Are you mesmerised, terrified and awe-inspired, or do you have trouble seeing the monster from the rubber suit? What do you think of the story, and how does Honda’s direction, including his use of the wipe cut, compare with Kurosawa? Where were you when you first saw Tokyo destroyed? Such an intriguing film, a lot more interesting than I thought it would be. I wasn’t expecting the ending to be so oddly beautiful. The ‘message’ element of the film is quite obvious, Honda obviously wasn’t very interested in subtle subtexts. But I was surprised at how low key and direct it was in portraying the death and destruction as being so similar to the war – according to the commentary on the BFI version I was watching, Honda had three tours of duty and had been to Hiroshima after the bomb, so he knew exactly what destruction looked like up close. I’m also quite surprised at how direct the portrayal of the destruction of Tokyo was, given that it was made less than 10 years after the real destruction of the city with fire. I know horror film directors like to play with real fears, conscious or unconscious, but this must have been very vivid to the audience. I think that in any western country to use such a recent historical event in a monster movie would be considered very tasteless (although maybe its a cultural thing, Japanese film makers never seem too worried about such things). In terms of film making, Honda clearly wasn’t as skilled as the bigger names – I found the editing almost random with little real flow. It certainly doesn’t have the smooth economy of an AK film. I also couldn’t help noticing all the little things that would indicate either a low budget (which it clearly was not), or a director who didn’t pay much attention to the little things – like the early scene in an office building where the doorway visibly shook when everyone walked through the door. I can’t imagine Kurosawa allowing anything like that to be acceptable! But having said that it was made with a certain amount of flair and zip to it, no flab and an interesting sort of ‘documentary’ feel. Glad you liked it, Ugetsu. My reaction this time was slightly negative, probably because I had hyped it up for myself after having a fairly positive reaction to it the first time I saw it, which was documented here. Gilded memories, I suppose. I would agree with you, and disagree with my former self, in that Honda’s film technique felt a little random at times, although I did think that there was a fairly good flow in there. Having said that, perhaps because I already knew what was going to happen, I thought the love triangle and pretty much all the bits outside of the main Godzilla storyline were a little uninteresting. The ending was still great, though. The way Godzilla dies provokes so many feelings. I feel sorry for the old chum, no matter how much he has destroyed. It is indeed interesting how directly Honda could portray the destruction of Tokyo and still make a box office hit. The scenes with the destroyed Tokyo are especially haunting, and remind me of the imaginary cafe scene in One Wonderful Sunday. The constant references to the war are also surprisingly direct. I didn’t notice that wobbling door you mentioned. I must take a look when I get back home. Odd that something like that would have got onto the film, as Godzilla was supposed to be the most expensive Japanese film of its time, and clearly a hell of a lot of time and effort was put into getting all the little details right when it came to the model buildings and rubber suits. I found the last third of the film more interesting than the first two-thirds. The first third was oddly choppy and ill-paced, and even though I don’t know how to avoid them, all those scenes of hearings seemed clunky. The second third, showing Godzilla’s path of destruction, was just that: a lot of destruction which, while it had its own weird beauty and power, was less than effective due to the lack of any subtlety or subtext and the crudity of the effects compared to what I’m used to seeing. I realize it’s unfair to compare the effects in this movie to modern ones, but I can’t help it. Other than the choppiness of the first third of the film, which I think is as much due to the screenplay as the editing, my major problem with the technical aspects of the film (as opposed to the storytelling and acting) was with the quality of the photography. Some scenes — mostly outdoor shots without special effects — were crisp and clear. Some scenes were hazy and foggy. And some were scratchy. I understand from the commentary that the scenes with special effects were re-edited so many times that scratches were inevitable, but that was a glaring difference between this and Kurosawa’s films. Unlike Vili, I found the love triangle compelling. It, along with the movie’s exploration of the Catch-22 of scientific advance and morality, is what gave the movie most of its emotional resonance, asit gave Serizawa another (and more relatable) reason to sacrifice his own life in order to prevent his discovery from ever being used again. I’m also quite surprised at how direct the portrayal of the destruction of Tokyo was, given that it was made less than 10 years after the real destruction of the city with fire. I know horror film directors like to play with real fears, conscious or unconscious, but this must have been very vivid to the audience. I think that in any western country to use such a recent historical event in a monster movie would be considered very tasteless (although maybe its a cultural thing, Japanese film makers never seem too worried about such things). Two major Hollywood movies about 9/11 were released in 2006 — United 93 and World Trade Center. Admittedly, they are disaster movies rather than monster movies (although you could argue that they are monster movies with humans as the monsters), but I think those a straightforward presentation of such events would be even more difficult for people to take so soon after the fact. The whole purpose of horror films is to deal with a subject at one remove. (This is not an original thought; Stephen King advances it in his book Danse Macabre, and I don’t think it’s original to him.) Godzilla, in showing how the government and scientific community deal with nuclear fallout, deals with the subject in a more emotionally satisfying way than Record of a Living Being. The underlying message seems to be that sacrifice may be required, but there is a solution — at least for now — to nuclear proliferation. Record of Living Being, which focuses on what any one individual can do in response to the nuclear threat, suggests that the only choices are to ignore it or go mad. As suggested on the thread on that movie, there is another one — political action — but that requires concerted action to be successful, which may be another reason why it isn’t mentioned.